This world-exclusive show and walkabout act was added to our roster in 2016. 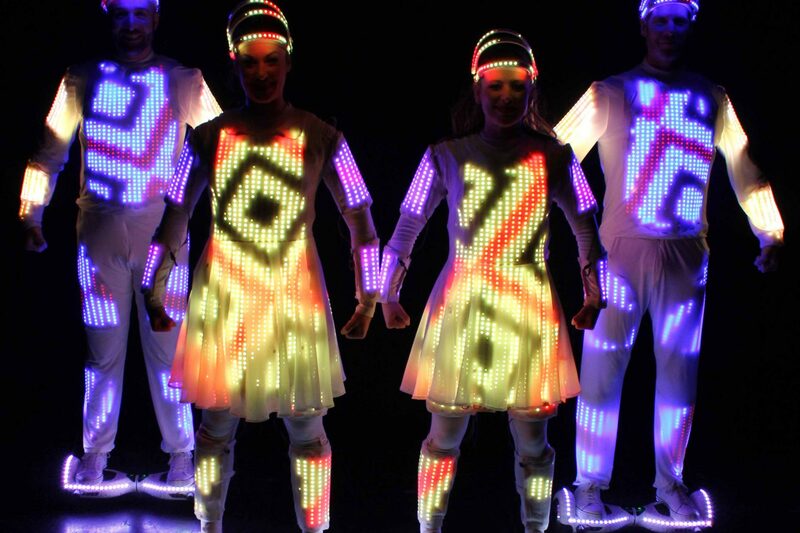 LED dancers gracefully zoom through your venue on their custom LED hoverboards to meet and greet your guests, whilst displaying custom graphics on their suits. These are synchronised to transform through a multitude of astonishing images including client logos, if requested. 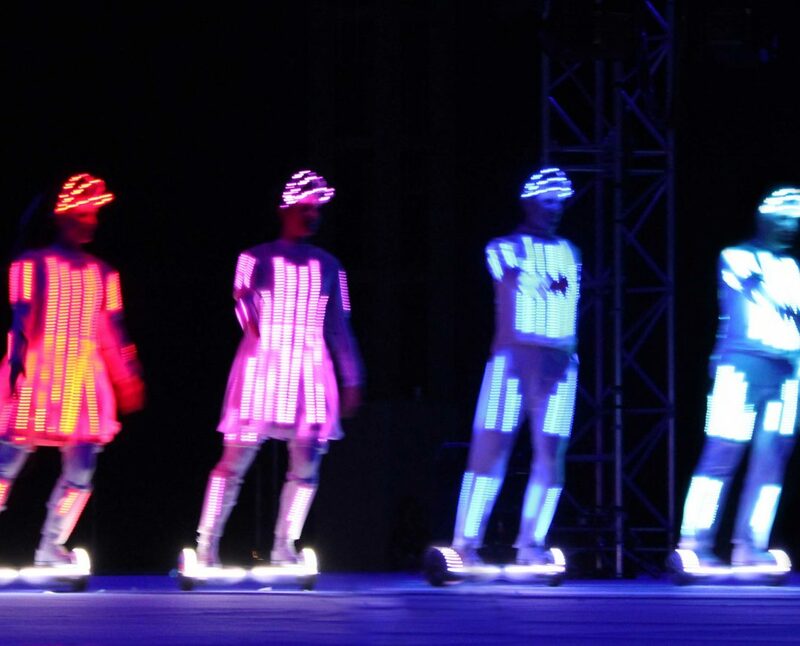 Our Gliders can be included as an add-on to a show, or a stand-alone booking. "Having great feedback from everyone that saw the show, really impressive." "Thank you - it added a great deal to the live atmosphere." "The client was very happy with everything which is purely down to a great team effort!"